Formerly known as the German EDM (Electric Dance Music) producer Audicid, Chris Howland had a love for music since he was very young. He began producing music at 13 years old, three years after receiving his first synth keyboard. Howland breaks the stereotype of stuck-in-the-80s Christian Pop tunes by making modern House Music (a genre of dance music that originated in Chicago) and EDM beats that do not sound like old rehashes of Abba and The Pointer Sisters set to 70s guitar tracks. His most recent track with christian producer and artist Matthew Parker titled “I’ll Remember This” is one of the best songs in Christian EDM. It also goes toe to toe with many secular Tropical House (a genre that fuses Tropical music with House music) songs. British EDM group Twelve24 is one of the most talented Christian Pop groups to hit the Christian Music scene. Their Deep House (a house music genre that fuses deep and puissant bass lines with disco stylings) single, “Higher,” was a song that gave them success in both secular and Christian circles. In addition to Deep House, the band has made Pop songs, Trap songs, and was one of the first Christian bands to delve into Tropical House. Like Twelve24, this little-known Christian Pop group also hails from the UK. They focus mostly on EDM, but they have also written Pop songs, and soft instrumentals. Their song “You Are My” is an excellent Tropical House song that blends elements of currently trending house stylings (trending house music is dubbed Future House) with chill vibes to create a delightful listening experience. It certainly seems that Christian Music is broadening its horizons, and, in my opinion, far surpassing its secular counterparts in terms of compositional skill. One example is Christian rapper NF’s song “Let You Down,” which is a major hit in multiple countries, including the US. 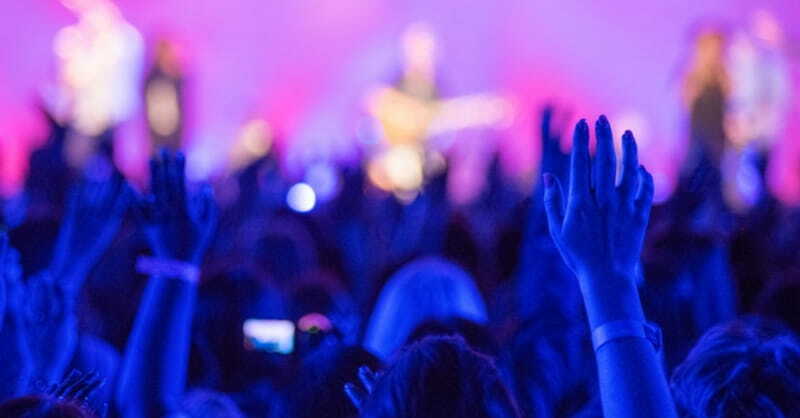 Since Christian music is becoming more diverse and new artists are constantly emerging, I have also compiled a list of some incredible places to discover new Christian Music in addition to the FM dial. The first is a Spotify playlist that I curate named Fresh Christian Hits. Each week I update it with the newest and best Christian music for those looking for great Pop-styled music with Christian lyrics. Other than my playlist, Speak Life Music has a couple playlists with some real hidden gems. My personal favorites are The Drop, their EDM music playlist, and Young & Rising, their pop-oriented playlist. In addition to these playlists, an excellent source for Christian Future House and EDM is Cross Nation, a Christian YouTube channel featuring little-known artists such as Marshall Marshall and Jeremy James Whitaker, among others. Altogether, 2018 looks like it will be an incredible year for Christian Music. New albums from Jordan Feliz and Rapture Ruckus are scheduled for release in the coming months, and Michael W. Smith is set to release “A Million Lights” in February. With new music coming from these artists and many more, there will definitely be plenty of good music to listen to in 2018. About the Author: John Paluska graduated from Regent University with a B.A. in Strategic Communications and a minor in Theology. He founded the social media news aggregation platform Soaker News in 2012 and has previously worked for Amplify Communications to boost publicity for the American History Film Project. John is an Orthodox Anglican and loves reading the bible and writing about politics and culture through the lense of Christianity.